An Introduction to the TFT Tapping Basics. Discover how to use TFT. 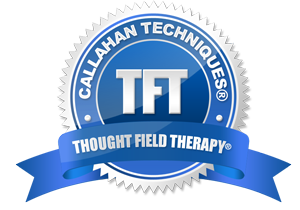 The audio class is a great way to learn to master the power of TFT tapping to overcome a wide range of challenges… with Joanne Callahan’s guidance. In this popular class, you’ll learn how to use TFT to instantly relieve negative emotions, stress, or anxiety… and overcome a wide range of bad habits. You’ll get a deeper understanding of how to apply each of the TFT algorithms (tapping sequences) to relieve stress and anxiety, chronic pain, past traumas, fear of flying, public speaking, fear of heights, driving on freeways, stop smoking, etc. We also do live demonstrations of TFT with select participants, so you’ll witness exactly how it can be applied to specific problems – and see how quickly it can overcome even the most difficult challenges! Learn how TFT reduces stress which is a leading contributor to chronic diseases, such as heart disease, stroke, cancer, chronic respiratory diseases and diabetes. How the stress and the uncertainty are affecting your health (even if you don’t know it) and how TFT can quickly reduce and often eliminate your stress. Learn how anxiety interferes with your immune system making you vulnerable to chronic disease and how TFT can help. 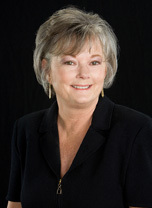 Listen to how TFT can help you reduce and often completely eliminate your job , financial and relationship stress. Find out how TFT can quickly and almost “magically” eliminate fears, cravings, phobias, anxiety, trauma and even physical pain. Discover how TFT will work for anyone- even the biggest skeptic! And, as a TFT Audio-Class Member… you’ll get up to 3x your money back in savings on our advanced training programs! Yes! Count me in Joanne! Please give me instant access to the TFT audio class where I’ll discover how to apply the power of Thought Field Therapy (TFT) to overcome ANY fear, anxiety, stress, or cravings I am suffering from. I understand that these are the same techniques you’ve utilized (almost effortlessly) and demonstrated on radio and television for CNN (3 Times! ), “Good Morning America,” Evening Magazine, Regis and Kathy Lee, Jenny Jones, Tom Snyder, “LEEZA”, Phil Donahue and The View with Barbara Walters and Whoopi Goldberg as well as many others. I also understand that you’ll also provide me with a PDF manual on how to apply specific tapping algorithms to help take control and conquer: stress, fears, jealousy, depression, obsessions and compulsions, anger, grief, addictive urges, performance enhancement, self-sabotage, irrational guilt, weight control, improvement of self-esteem, and many, many more!